The EA closes market orders after a specified time interval (put simply - by timer) after they are opened. 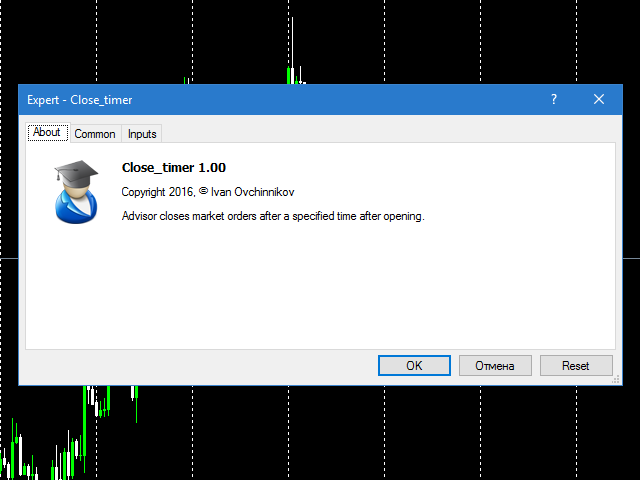 Use this Expert Advisor if you need to close a trade after a certain time. 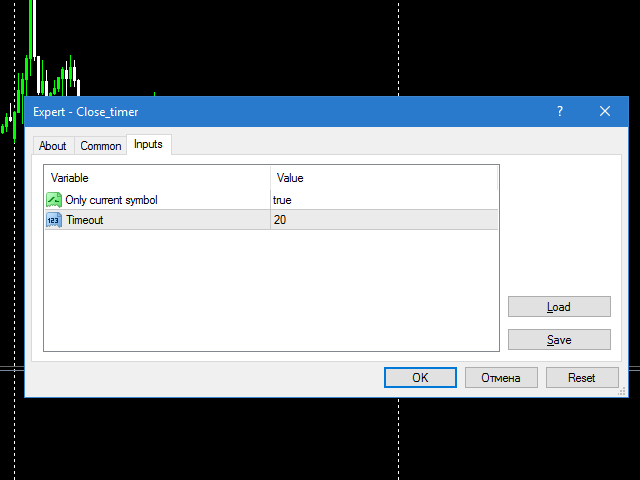 Only current symbol - if true, the EA will close only the selected symbol's orders; if set to false - it will close any order of any symbol. Timeout - time (in seconds), after which the EA closes the orders. This EA is simple and very easy to use, does not use up your CPU and has no extra settings. Recommended to use on accounts without requotes. It works well, also close in days can be set converting it to seconds. Only 3* because time counting continue on weekend and trades opened on friday (or before) will be closed early if close-time is set for 1 day or more.